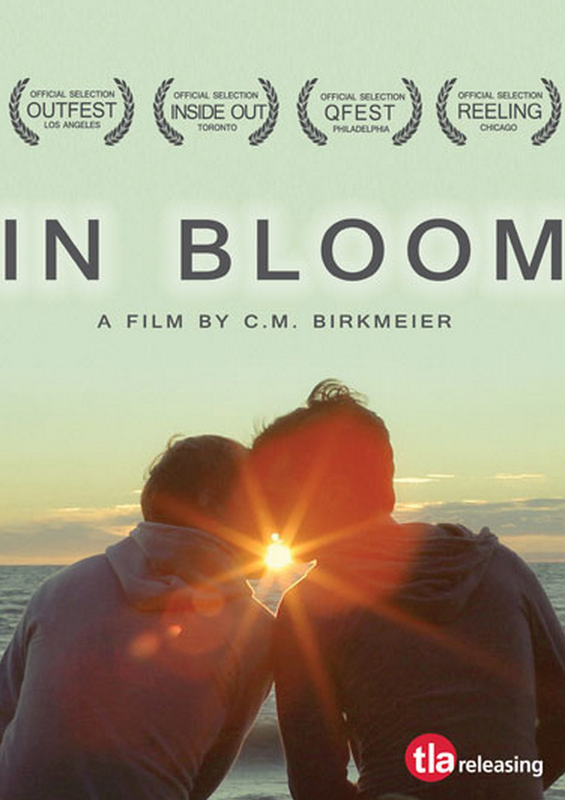 In Bloom might be an ironic title for this film that chronicles the heartbreak of two guys ending their relationship and finally their breakup. Paul is the more grounded of the two working a real job, and seemingly knows what he wants. Kurt is the one who isn’t happy, but doesn’t quite know why. He makes his living as a weed dealer, and interestingly is stuck in a “grass is greener” rut. He thinks he is not happy because of his relationship – because the spark is gone and he wants that back. We watch as their relationship goes from “a day in the life” to tense and finally argumentative. Paul has reason to think that Kurt is straying from their relationship, and the argument finds them going different ways. But the thing is that Kurt can’t quite move on, and makes it so that Paul can’t either. He doesn’t know what he wants, but he still wants the connection with his ex. The connection these two have is palpable. For Kurt it’s something he’s not quite sure how to live without although he wants something else. The theme here is lost love and how we deal with that. We feel the pain that they both go through, and the frustration that Paul feels is heart breaking. Eventually Paul learns how he needs to move on – without Kurt in his life. But somehow the separation isn’t complete as the beginning of the movie shows us. I wonder what becomes of them after the “Apocalypse Party.” Kurt hugs his friend as he comes into the party which doesn’t seem like him previously as he wouldn’t even open up to him before. Kurt says he’s ok with not knowing what’s going to happen with him and Paul going forward. He seems to have come to a more mature point having been through all that he has. The film isn’t exactly fast paced, but it’s not too slow either. It draws you into the simple story so that your focus is on the emotions that play out. The cinematography is slow and artful. The music draws out the emotions present and enhances the experience. Overall good production value. My only complaint is that sometimes the characters mumble a bit. Certainly this is not a feel good movie, but it’s worth watching. I think most of us have been through these feelings at some point in our lives – on one side of the story or the other (or both). It’s a reminder to us that we get though it, are sometimes better off for it, and makes us more grateful for where we are now.